The badgers are back, yes two of them! 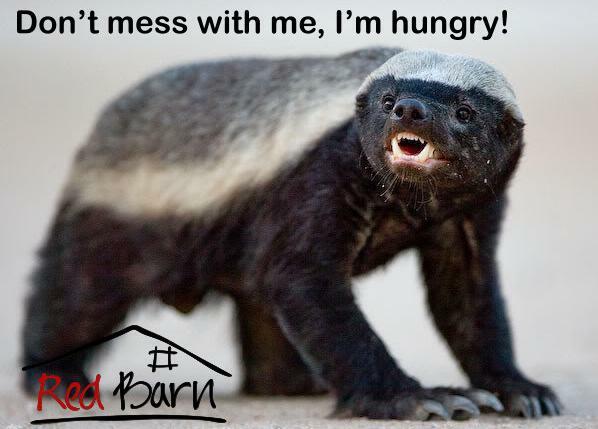 Red Barn has always tried to find innovative ways to deter predators, but the honey badger is proving really difficult. Our guard donkeys are with the broilers on the other side of the farm and I really think a honey badger could harm them. So… I looked for help online… and found these automatic, SOLAR, predator control lights in the USA. They are supposed to mimic eyes of a larger predator and they work on American Badgers… so here’s hoping! Maybe Filip and I (and the dogs and hens) will get a peaceful nights sleep! Recommended LOCAL FOODS to try if you haven’t yet ….